The answer? Attend a Rainbow Mennonite Church annual business meeting! Wow. We talked about money (and not just how to get more of it! ), a pocket park, a bus stop, quilts, a nonprofit organization called Sharing Community in Rosedale and governance matters. We voted on new church leaders, we sang, we prayed, we voiced opinions, asked questions, and voted. All the while our children were running around upstairs and if you really listened, you could hear squeals of delight. Special thanks to Ashton, Angela and Sophie who supervised the action. 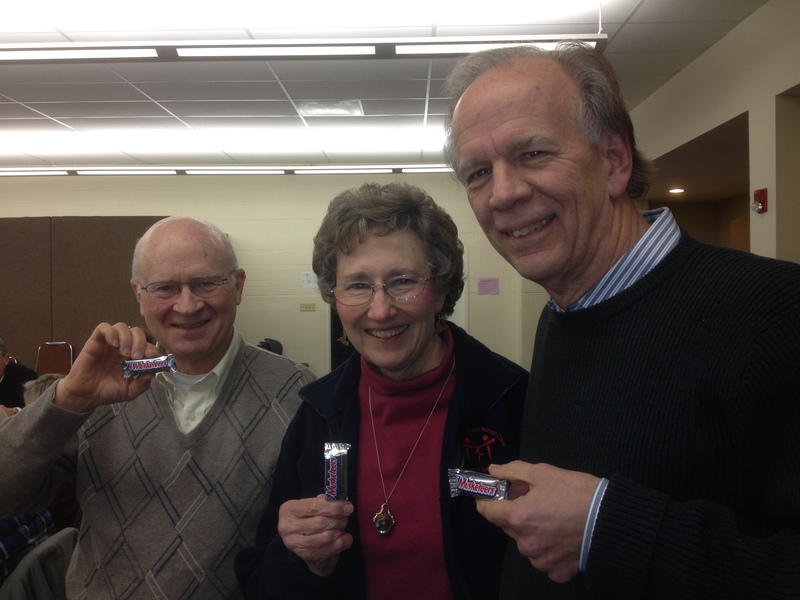 Special thanks goes out to our three musketeers (notice the candy bars they are holding) 2013 past-moderator, moderator and moderator-elect! 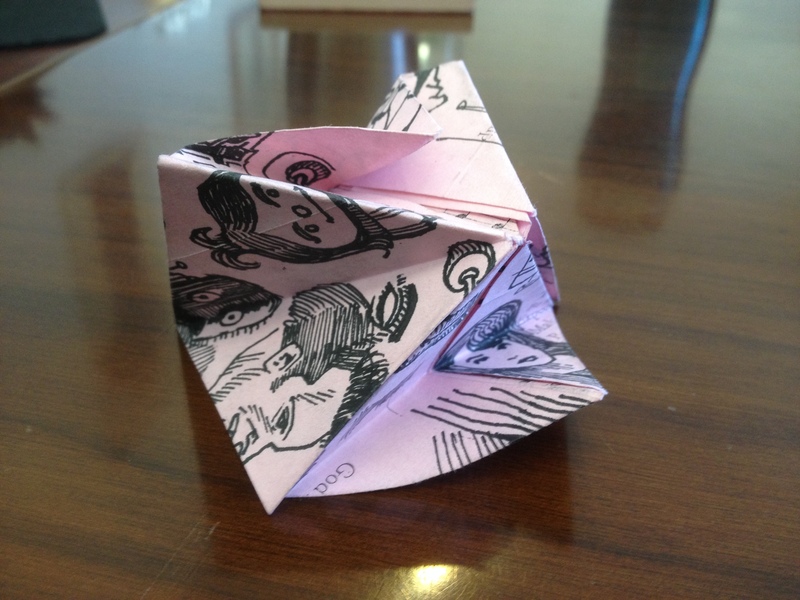 And special thanks to my husband Jesse who stuck around until the end, and kept everyone around him entertained by his doodling and paper folding. How to survive a two hour congregational meeting? DRAW!